IMBES is also very pleased to have a Trainee Board. Jessica Younger & Richard Daker serve as the co-trainee representatives to the IMBES Board and co-presidents of the IMBES Trainee Board. In these roles they articulate a vision for the trainee board and manage it, liaise between the Trainee Board and the main IMBES board, serve as the voice for the trainee community, and promote the interests and engagement of trainees. Jessica Younger is a Postdoctoral Scholar in the Neuroscape Research center at the University of California, San Francisco, where she works with Dr. Melina Uncapher. She uses a variety of neuroimaging and behavioral research methods to understand the roots of individual differences in learning and academic achievement. As a member of the Education Program, she uses mobile technology to do large-scale in-school assessment and intervention to understand the core cognitive skills underlying learning and whether training these cognitive skills can result in improved academic outcomes. Jessica completed her doctorate in Communication Sciences and Disorders at University of Texas at Austin where she researched the neural correlates of sound- symbol learning under the direction of Dr. James Booth. Rich Daker is a PhD student in the Psychology Department at Georgetown University working with Dr. Ian Lyons and Dr. Adam Green. His research uses a combination of behavioral, psychophysiology, and neuroimaging methods to understand the role that anxiety about math, creativity, and spatial reasoning plays in shaping academic achievement and is broadly interested in exploring ways that psychology and neuroscience can help students succeed. Before starting graduate school, Rich worked at ideas42 where he helped apply findings from psychology to improve graduation rates among community college students. He completed his undergraduate studies at Princeton University with concentrations in psychology and neuroscience. Geneviève Allaire-Duquette is a postdoctoral fellow at Tel Aviv University's School of Education in Israel. She is an Azrieli fellow and a Quebec's Research Fund for Society and Culture fellow. She is interested in the mechanisms underlying the ability to overcome intuitive interference to formal/logical reasoning in science and mathematics. Geneviève hopes to identify brain patterns specific to various types of interventions, which could enable educators to make informed decisions about the nature and the intensity of the their use of interventions, tasks and examples in various educational settings. Nadja Marie Mariager has earned a high school teacher’s certificate, and has more than six years of work experience as a high school teacher. Furthermore, she is currently completing her PhD project at The Educational Science Department (IKV), at University of Southern Denmark (SDU) under the supervision of Professor Ane Qvortrup. Throughout Nadja’s time as a doctoral student at SDU, she has developed an analytical approach, based on Luhmann’s social systems theory. This approach serves to guide researchers in ways to include neurodevelopmental knowledge in high school instruction in order to support and improve the latter. More specifically, she has applied the same approach to suggest how neurodevelopmental and psychological insights revolving around motivation for learning in adolescence may support high school teachers in their instructional decisions. Rene is a PhD student in the department of Special Education at the University of Texas, Austin. Her current work focuses on at-risk-for math learning disability populations (preschool through first grade). Her doctoral work has also included supporting middle school teachers providing mathematics interventions, supervising and supporting pre-service teachers in their field experiences, and as a liaison-advocate for students with chronic health care needs during hospital stays and as they return to school. Alexa Ellis is a doctoral candidate in the Combined Program in Education and Psychology at the University of Michigan, advised by Drs. Pamela Davis-Kean, Fred Morrison, and Ioulia Kovelman. Her research focuses on the development of children’s early math skills and understanding the influence of the home and school contexts on those early skills. She is currently conducting her dissertation data collection in schools and is excited to be part of the IMBES trainee board. Be sure to tag @IMBESoc on twitter to spark fun conversations! Courtney Pollack is a Postdoctoral Associate at MIT. Courtney’s research intersects numerical cognition, mathematics learning, and education. Using quantitative and neuroimaging methods, she researches typical and atypical development of symbolic number processing in children, adolescents and adults, and how that processing relates to mathematics learning. She also writes about the relation between research and practice in Educational Neuroscience and Mind, Brain, & Education. Courtney served as co-President on the IMBES Trainee Board from 2016-2018. 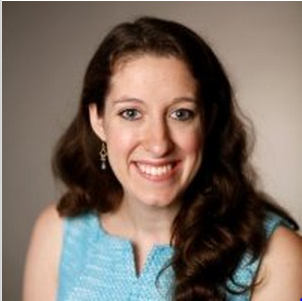 Rebecca Gotlieb is a doctoral candidate in the Rossier School of Education and the Brain and Creativity Institute at the University of Southern California, advised by Dr. Mary Helen Immordino-Yang. She studies social, emotional, and identity phenomena and their impact on development and learning in adolescents across cultural contexts. Rebecca launched the Trainee Board in 2016 and served as co-President of it from 2016-2018.